In Springpad you create a ‘notebook’ for each of your projects. You can then place Tasks, Notes, bookmarks and other objects in those notebooks. For a journalist, the notebook format lends itself well to projects or investigations that you’re working on, especially as ideas occur to you on the move. As new tasks occur to you (‘I must interview that guy’, or ‘follow up that lead’) you add them to the relevant notebook (i.e. project or investigation) from the mobile app – or the website. If you’re browsing the web and find a useful resource, you can use the Springpad bookmarklet to bookmark it, tag it, and add it to the relevant notebook(s). And any emails or documents you receive that relate to the project you can forward to your Springpad account. What’s particularly useful is the way you can choose to make public entire notebooks or individual items within them. So if you want others to be able to access your work, you can do so easily. Springpad seems to me a particularly individually-oriented tool rather than something that could be used for coordinating large groups (where Basecamp, for example, is better). None of its constituent elements – tagging, to-do lists, notes, etc. – are unusual, but it’s the combination, and the mobile application, that works particularly well. If you have a number of projects on the go at any one time you tend to have to a) constantly remember what needs to be done on each of them; b) when; c) with whom; and d) keep track of documents relating to it. The management of these is often spread across To Do lists, a calendar, contacts book, and filing or bookmarks. What Springpad effectively does is bring those together to one place on your mobile: the app (although at the moment there’s no real reason to use it for contacts). This means you can make notes when they occur to you, and in one place. The fact that this is both synced with the website and available on the app when offline gives it certain advantages over other approaches. Assign a date to every Task – even if it’s in 3 months’ time. This turns it into a calendar, and you can see how many things you need to get done on any given day, and shuffle accordingly. Tasks should be disaggregated – i.e. producing an investigation will involve interviews, research, follow ups, and so on. Each of these is a separate task. Start the day by looking at your tasks for that day – complete a couple of small ones and then focus on a bigger one. If new ideas related to a Task occur to you, add them to that task as a note (these are different to standalone Notes). This is particularly useful for tasks that are weeks in the future: by the time they come around you can have a number of useful notes attached to it. Use tags to differentiate between sub-projects within a notebook. Install the bookmarklet on your phone’s browser so you can bookmark project-related webpages on the go. Add the email address to your contacts so you can email key documents and correspondence to your account (sadly at the moment you still need to then open the app or website to tag and file them, but I’m told they are working on you being able to email-and-file at once). You can import all of your Delicious bookmarks into Springpad, but I’ve chosen not to, partly because the site lacks much of the functionality that I’m looking for in a Delicious replacement, but also because I see it as performing a different task: I use Delicious as a catch-all, public filing system for anything that is or might be relevant to what I do and have done. Springpad is about managing what I’m doing right now, which means being more selective about the bookmarks that I save in it. Flooding it with almost 10,000 bookmarks would probably reduce its usefulness. For the same reason I don’t see it as particularly comparable to Evernote. Dan Gold has an extensive guide explaining why he switched from Evernote to Springpad, and simplicity again plays a large role. It’s also worth reading to see how Dan uses the tool. Perhaps the best description of the tool is as a powerful To Do list – allowing you to split projects apart while also keeping those parts linked to other items through notes, tags and categories. The tool is a bit rough around the edges at the moment. Navigation of the app could be a lot quicker: to get from a list of all Tasks to those within one notebook takes 3 clicks at the moment – that’s too many. Privacy could be more granular, allowing password-protection for instance. And the options to add contacts and events seem to be hidden away under ‘Add by type’ (in fact, the only way to add an event at the moment appears to be to sync with your Google account and then use a calendar app to add a new event through your Google calendar, or to go to an existing event in your app and create a new one from there). The bookmarklet is slow to work, and alerts only come via RSS feed (you could use Feedburner to turn these into email alerts by the way). That said, this is the first project management that I’ve actually found effective in getting stuff out of my head and onto virtual paper. Long may that continue. This entry was posted in online journalism and tagged app, delicious, iphone, project management, springpad on January 20, 2011 by Paul Bradshaw. It is hard to imagine that a sports-crazed country like the US would have any dearth in sports reporting. However, while professional and major college sports get covered no end by traditional media, sports leagues and user-generated sites alike, high school and minor college sports remain largely uncovered, an issue that is being exacerbated by declining revenues. This was one of the reasons that inspired Ted Sullivan, a former minor league baseball player and a graduate of Harvard Business School, to ease the pain of parents, coaches and fans of youth sports, literally, by launching an application that is making the process of scoring simpler, and allowing for easier distribution of stats from the field. “An entire category of content called real-time sports doesn’t exist for what is the enormous majority of athletic events happening everyday, whether that is organized sports from the small college level or high school and youth sports,” says Sullivan. Having not only played the sport, but also having coached at a downtown little league in Manhattan, Sullivan understood the challenges of scoring baseball manually. Earlier this year, along with co-founder Kiril Savino, he launched GameChanger, an iPhone application that transmits data in real time from the field. Using the tool, scores and stats, as they happen, can be tapped into an iPhone by coaches, fans and parents. This is translated into a “gamestream” that appears on the Gamechanger site instantaneously so fans can access live updates, box scores, and play by plays. Balls, strikes and hits are recorded using the tool’s menu options, and players are tracked by dragging and dropping names. In addition, a coach or scorekeeper can create a team’s schedule, roster and lineup. There is also a provision for fans to add to the stream by posting comments or uploading photos and video. “I believe in the mobile device as a great data collector,” says Sullivan. While mobile devices are useful for content consumption, the very nature of smart phones prompts something more than passive viewing by the user. And this makes them ideal vehicles for data gathering and delivery. Each team can have more than one hub based on how many people choose to use the app for scoring, but Sullivan assures me that the tedium of score-keeping restricts it to few, very avid fans or parents, thus reducing potential imposters or error-prone score keepers. Besides, GameChanger makes baseball scoring easy enough for anyone with a basic understanding of the sport, thus alleviating the need for extensive experience or in-depth knowledge. “The key piece here that needs to be stressed is that this business doesn’t work if we aren’t providing a huge incentive to the person that is using the application and collecting the data for us for free,” says Sullivan. He explains that manual scoring takes an average of 45 minutes to an hour per game; factor in several games per week stretched over an entire season, and therein lies Gamechanger’s incentive. Lisa Winston attests to this over at the MLB Blog, bemoaning the fact that an app “so brilliant and simple” wasn’t available when her daughter played in the little league. All the content that is collected is available on the GameChanger site. While some content is free, more detailed information, such as play by plays, requires a subscription. Sullivan believes that the data is exclusive and time sensitive enough for people to be willing to pay for it. For a fee, a simple html code also allows local news sites to pull data from GameChanger’s database in the form of widgets. Profits are shared with news partners. Potential other uses in journalism? If such an application can make data gathering, analysis and distribution easier in the case of simple scoring of a little league game, could it find potential in other, more complex issues? Such as election results, exit polls or the statistics of climate change? With the popularity of crowdsourcing, citizens are being entrusted with more and more complex tasks in areas such as citizen science and E-governance. Such a foolproof application would increase participation and minimize error. While projects like WNYC’s crowdsourced maps have successfully used their Web sites as data collectors, the content obtained from the public in such cases has been relatively simple, such as the number of cars on a street, or the price of milk at a grocery store. In these and similar such exercises, the task of making sense of the data or painting the bigger picture has been that of a journalist, perhaps rightfully so. 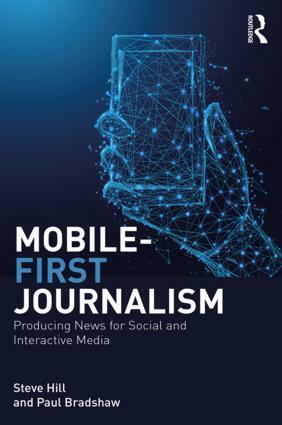 But if data-specific applications could be designed to maximize contributions from the public, it would perhaps make citizen journalism more relevant and valuable while reducing the workload on news organizations. It’s debatable if it will work for areas more serious than sports or entertainment, but, if anything, such weighty topics could use applications that would make information gathering easier. 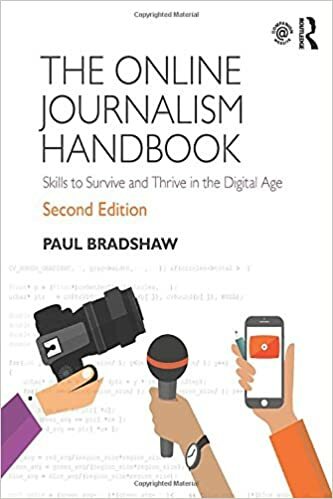 This entry was posted in online journalism and tagged citizen journalism, crowdsourcing, iphone, karthikaswamy, sports, technology on April 12, 2010 by Paul Bradshaw. This entry was posted in online journalism and tagged android, apps, asborometer, conrad quilty-harper, data.gov.uk, iphone, Jeff gilfelt, video on February 23, 2010 by Paul Bradshaw. We’re all being told that mobile is the next big thing for news, but what does it mean to have a good mobile news application? Jonathan Stray reports. Just as an online news site is a lot more than a newspaper online, a mobile news application is a lot more than news stories on a small screen. The better iPhone news apps integrate multimedia, social features, personalization, and push notifications. Here is my roundup of 14 iPhone news offerings. I’ve included many of the major publishers, some lesser known applications, and a few duds for comparison. The Times doesn’t do anything new with this application, but they do everything fairly well. The app is designed around a vertical list stories, with a headline, lede, and photo thumbnail for each. Stories are organized into standard news sections, plus the alway interesting “Most Popular.” Banner ads sometimes appear at the bottom, plus occasional interstitial ads when appear when you select a story. The focus of the news is of course American. There’s no personalization of news content based either on interest or location, which may well prove to be a standard feature for mobile news applications. Fortunately, the app includes a search function, though it only seems to go a few days back. Downloaded articles are available when the device is offline, which is a useful feature. Favorites stories can be saved, or shared via email, text message, Twitter, and Facebook. The UI has a few quirks. The “downloading news” progress bar is expected, but the sometimes equally long “processing news” phase makes me wonder what the app is doing. The photos in a story very sensibly download after the text, but the scroll position jumps when the photo appears,which is hugely annoying. There’s little innovation or differentiation here, but the experience is smooth. This entry was posted in mobile, online journalism, user generated content and tagged case studies, iphone, Jonathan Stray, mobile on January 10, 2010 by Paul Bradshaw. For the last month or so I’ve been playing around with a review copy of Novatel’s MiFi, a portable wifi hotspot that allows you to connect to the web with multiple devices. It’s a cute bit of kit – slightly shorter than an iPhone, and ideal for journalists because it bridges the need for a wifi hotspot while addressing the limitations of a 3G smartphone. The technology is pretty straightforward: inside the MiFi is a SIM card which pulls a 3G signal that is converted into that wifi hotspot. Up to 5 devices can then connect to the web through that hotspot – there’s a password which is shown, intelligently, on the back of the battery cover. Clearly you need a 3G signal for the MiFi to work – it’s great in urban areas but less successful where there’s poor mobile coverage. But even with a relatively low 3G signal the wifi hotspot is surprisingly strong. 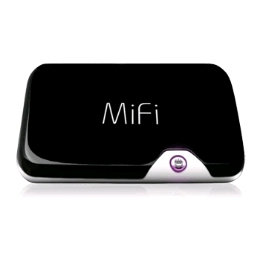 And even if you already have access to wifi – or a 3G dongle – the MiFi provides a second, often more reliable, connection for uploading material. In fact, if you’re relying on 3G connections for mobile journalism I would recommend having a MiFi on one mobile operator, a pay as you go 3G dongle with another, and a smartphone on a third. I managed to stream video very easily from my laptop, connected to the web on the iPod Touch, and had a group of MA Online Journalism students using it to access the web while we conducted a lesson. (aside from journalism it’s perfect for mobile education). Sadly, I didn’t get to try out the Eye-Fi card alongside it, but now that it’s hit the UK I’m hoping to play with that too. The Eye-Fi sends images and video straight from an SD card to social media via a wifi hotspot, so you could use an SLR camera or mini camcorder with a MiFi to upload your footage as soon as you shoot it without having to mess with laptops or smartphones (or police officers). The major weakness, however, is battery power: the specifications say that the MiFi should have 4 hours battery life after a charge (which is, to its credit, quick). But this is shorter if you have multiple devices, and after 4 weeks of using it (and yes, it will have been used by other reviewers), the battery no longer held its charge. 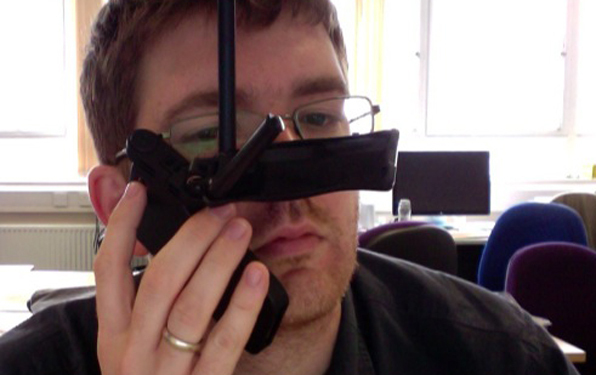 Given that you have to sign up to a contract to get the MiFi*, this is rather worrying. That aside, this is a must-have piece of kit for me. This entry was posted in mobile and tagged 3G, Hotspot, iphone, iPod, Smartphones, t-mobile, Vodafone Group Plc, Wi-Fi on October 28, 2009 by Paul Bradshaw.